1x gold petal backdrop measuring 2m (W) x 1.8m (H). This luxurious gold backdrop will add a touch of glamour to your baby shower. 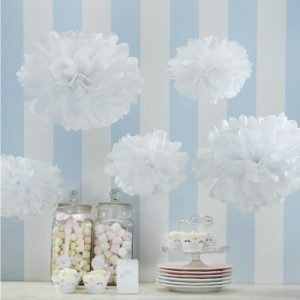 Perfect for draping anywhere in the room to create that party atmosphere! Shimming gold petals will cascade from wherever it is hung. 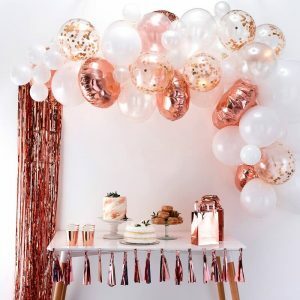 This gold backdrop would make the ideal photo booth area! Pair with some of our hilarious photo booth props and your guests will laugh for hours. Just think of the pictures! Sophisticated and exciting, this trendy gold backdrop is the ultimate addition to any get together. 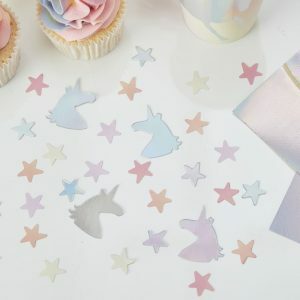 It will make that upcoming baby shower shine! Set it off with this adorable gold ‘Happy Pushing’ cake topper.